I don’t know how these guys have flown under my radar for so long, but I’m sure glad I finally found them. They may not be the best band of all-time, but they’re definitely my favorite of the moment. 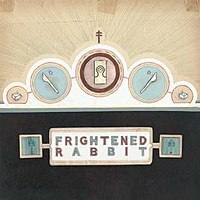 Frightened Rabbit released their newest album, The Winter of Mixed Drinks, on March 1st, and it’s awesome. In talking with Sheena about their sound, we’ve thrown around possible influences/similarities to Modest Mouse, Neutral Milk Hotel, Jimmy Eat World, Counting Crows, Band of Horses, etc. So pretty much just plain awesome. Their 2008 release, The Midnight Organ Fight, might be a better collection of singular songs, but this new album has a more uniform feel, and it’s great from start to finish. So, obviously, you should check it out. Right now. My dad sent me this video. I thought it was really clever. 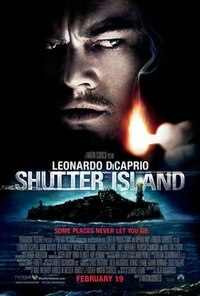 I have to admit that I like this movie. I didn’t plan to, and I definitely have some issues with it, but for the most part it was a good, suspenseful movie that kept you guessing about what was really going on. The main reason I didn’t think I was going to like it was because someone told me what happens in the end, which is a pretty big twist. I would’ve definitely preferred to see the movie not knowing what I did, but it played out in a much different way than I expected, which helped. The plot is pretty weird, which could explain away some of my problems with the movie, but I almost feel like they just used the strange plot as a crutch to be really sloppy with their film making at times. The movie is also very slow, and a bit too long. All-in-all, though, I think it’s worth checking out. Oh, another thing I really liked about the movie was that it was not only shot to look like it takes place in the 50’s, it’s also shot, in a lot of ways, to look like it was made in the 50’s. Pretty cool. But have you seen the spoof Kimmel did with Christoph Waltz? p.s. I made the first video into an mp3 so I can listen to it over and over. Hurley Parties in the USA. I’ve never really been too excited about the Oscars before. I know going into it that I’m going to disagree with a lot of the winners, but this year I’ve seen way more of the movies nominated for stuff than I have in the past, so I’m actually looking forward to it. And here are Reid’s Votes/Predictions. I actually really liked this movie. Going into it, I wasn’t sure I would. It’s by no means perfect, but it’s pretty exciting and, although there are some parts that are nearly impossible to watch, it’s a fun ride. I was disappointed in the end, though. I don’t want to give anything away, but the end is kind of typical, aka a letdown. They spend so much time trying to get you to feel one way about what’s going on, and then in the end they totally do a switch on you and expect you to be okay with that. I wasn’t. 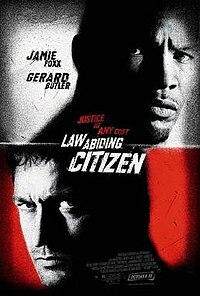 Again, there are a few brutal scenes that are tough to watch, but it’s an intense movie with a lot of unknows that keep your eyes glued to the screen.